I was trying to recover the MS OS using a USB recovery drive, generated by the Dell OS Recovery Tool. The USB drive is recognizable on the BIOS setup page. But when I chose the UEFI: USB drive option, it didn't work and showed that "System.was unable to boot. 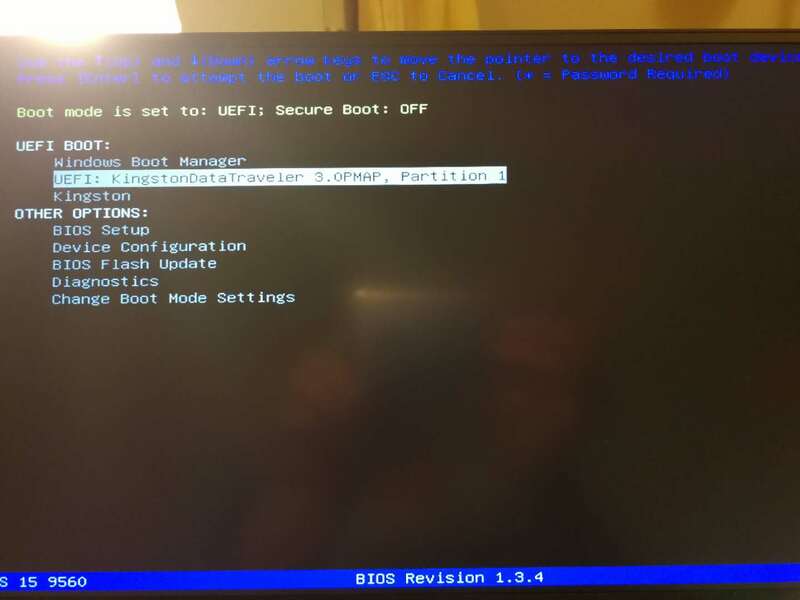 No bootable devices found"
I have disabled the SecurityBoot option and enabled the Legacy Boot option. Can you help me with this issue? Please don't just copy the link of the guide. I was following the steps shown on the guide and there isn't anything about this issue. It looks like there are 3 entries under UEFI BOOT. Which guide did you actually use? And also I tried another USB boot drive that I made from another tool, it worked. Seems like there is something with the image from Dell recovery tool but Idk how to figure it out. You did let the tool create the Flash Drive since if you just copy over the files it will not have the same directory structure? What size flash drive and was it new or used for something else. I actually prefer using the Windows 10 recovery drive to reset back to factory settings. This works best with systems which came with Windows 10 already installed without upgrading from a factory configuration.